Buyers have a myriad of reasons for wanting to change agents. Perhaps they can't adequately answer your questions, don't respond promptly to inquiries, or appear more interested in their own needs than yours. If you have found a second agent and perceive that individual as possessing the qualities you desire, then you probably have ample grounds for switching agents. Some type of conflict is inevitable, but you can make the transition somewhat easier on yourself. Note that if you have not signed a buyer's broker agreement, you are not owned by any real estate agent. No agent has a claim on you, and you can switch to another agent you prefer at any time. If you have signed an agreement, it may contain important language that you need to be aware of. Check for a cancellation clause. This will allow you to legally part before the contract expires. You should also look for conditions that may have been written in the event you want to terminate the agreement before it expires. For example, there may be an exit granted with a specific period of time, say 48 hours' notice. Both the broker duties and buyer duties will be written out. If your broker is in breach of these duties, you can report that or simply create a list of grievances and refer to the contract once you've made the decision to stop working with that broker. There may be a termination agreement written into the contract already that supports either party wanting to end the relationship. The rights to termination will be clearly stated. Generally, you should be able to cease working with the real estate agent with a letter of cancellation or termination. Check your contract for this language. And make sure you get a signed termination letter from the real estate agent so that you can prove your parting is legitimate. Even if you have a list of grievances, be professional and courteous. Acknowledge that your specific needs aren't being met as a platform to learn from for the future. A good real estate agent will ultimately agree that it's in your best interest to end the relationship, especially if the telltale signs have been apparent for a while. By being honest and upfront, and parting amicably, the relationship may be able to continue in other ways. 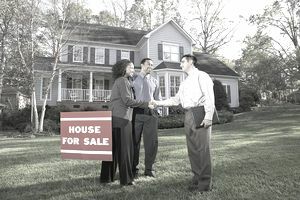 A good real estate agent may even suggest other agents to work with or even make referrals. You can say that you would like to continue to work with the real estate brokerage firm overall, if your broker is a part of a larger entity, and ask if there is a colleague he or she might suggest if you are indeed parting on good terms. That way, you save the overall relationship with the firm. But if you feel strongly that you don't want to get into any specifics, you can simply thank the agent for his or her time and inform them that you have chosen a different agent. This is an important step in order to protect yourself from having to pay any commission if an issue were to arise after you've terminated the relationship. Do this after you have informed the agent you would like to end the partnership. You don't have to explain why, but do outline it when you want to officially part ways. That will ensure that the agent doesn't continue to search properties for you.